One of the hardest things in my life so far, was watching my Dad, at certain points in his last few weeks of life on earth. The points I am talking about are the ones where he was choking on mucus, coughing, grasping for air, and then proceeding to cough up the mucus. The ICU was wonderful because it had a sucker thing he could use, otherwise it was one of us handing him kleenex after kleenex after kleenex. That paragraph probably wasn’t the best way to start a blog post to keep people around. But I hope you are still here with me. I am not necessarily giving a lecture or speech about a certain topic, I want to share how it felt to be daughter of a smoker and watch the effects it had on my Dad. The scene from the beginning of this post happened more often than not, as it began to occur I would hold my breath – every time. I would hold my breathe to make sure he was going to get through the coughing fit, get up the crap that existed in his lung, and come out through an extremely small esophagus. I was hoping it didn’t hurt too much, I was hoping it would pass quickly. His red face was an indication of the amount of energy it took to get through these spells and hopefully be able to breath again himself. He was on oxygen, so in reality he wasn’t breathing on his own now was he? That oxygen was another benefit of smoking for years. The amount of fluid they drained from his lung when he entered ICU was huge. It just kept draining and draining and draining. All the while, he couldn’t keep food down, there was a huge tumor cutting off his esophagus, so food just came right back up. No food intake amounted in him losing about 45 pounds in an 8 week period. Lung cancer didn’t kill him, his bad heart did. The years of smoking, drinking, and not being healthy damaged the heart. We always thought his heart would give out, it was the one that almost did six years before. In a way, I’m glad the heart gave out. We were facing weeks maybe months of my Dad struggling to breath, to eat, to “live”. I would love to care for him but who wants to see him suffer. God had another plan. 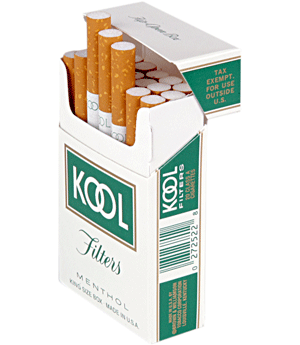 My dad smoked Kool brand cigarettes while I grew up. I can still see the green and white packs lying around and the silver square lighter that he often used or a Bic lighter. Ashtrays adorned our home, they were all over and they were usually full of used cigarettes and ashes. He stopped smoking you know. Not while his four children lived with him but about 15 years ago. When the heart was getting worse and the drinking stopped too. I’m glad he did eventually stop, I mean if he hadn’t we would have been burying him alot sooner in my opinion. I do treasure the days I had with Dad in his last couple weeks, but I also dislike what I got to witness. All from an addiction, a choice to smoke. This is where I explain I am not a product of healthiness. No I don’t smoke, but I like to eat food that is not the best for me and my exercise routine is in sad despair. So I am not judging, although some may think so. I’m sharing how I felt/feel. If one person reads this and sees the photo of my Dad on his last day and it makes them think twice about lighting up a cigarette, then I’ve done a good thing. My Dad on his last day on earth. That’s the face of a man that is not feeling good for sure. I’m also saying that when I see others light up or go outside to smoke I can see their future in a way. Perhaps not exactly the same but still, similar. I think instead of dwelling on what may happen to them, I will start a little prayer. “God grant them the strength to conquer the addiction of smoking.” If someone sees me stuffing my face, I’d be glad they prayed for me to eat healthier and stop. I will take all the prayers I can get so pray away! I don’t consume myself on a daily basis about the next topic in this post, but it’s here, in my mind on occasion. I spent a good 11 years of my life in the presence of two smokers, breathing the second-hand smoke into my lungs. Then it dropped to one smoker when my parents divorced. What does that mean for me? What does that mean for my lungs? I have spent more of my life in a smoke free zone, but still it’s a dark spot in my mind. I know, it was a different time back then. People didn’t go outside and keep cigarette residue from their homes and vehicles and other humans, like today. I’m grateful that has changed. And the fact that my Mother has chosen to quit smoking. I feel very proud of her for this, it’s hard I’m sure. But when she coughs, it takes me right back to my Dad’s bedside, and I don’t want her to go through anything like that. I love her too much to want that for her. 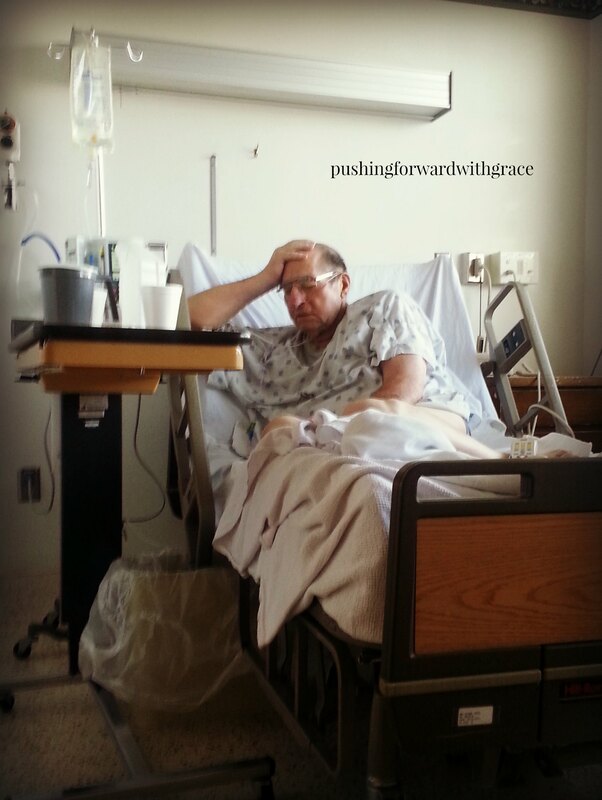 So, that’s what it felt like to watch my Dad struggle in his last days. It could have been worse, it could have been better. So, to those of you that smoke, I do wish you would stop, for I do not want your family to go through what we did. To those that don’t smoke, instead of judging, let’s just say that prayer when we witness smokers. Prayer is strong.